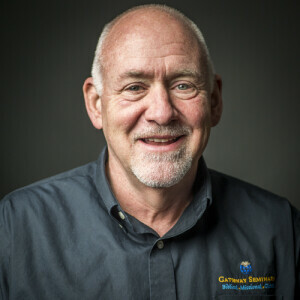 Dr. Don Dent leads Gateway Seminary’s Kim School of Global Missions and serves as the Baker James Cauthen Professor of World Missions. A native of Mississippi, he worked in Asian megacities for thirty years with the International Mission Board and another international corporation. His cross-cultural experience includes time in a variety of cultural environments where he developed communities in urban high-rises, created strategies for penetrating new markets, provided leadership for over a hundred expatriate teams, developed leaders, and directed on-boarding processes for new corporate personnel. Don enjoys activities as diverse as quietly reading a book and ocean kayak fishing for sharks. Since moving to southern California two and a half years ago he has been involved in a church planting project. He is the author of The Ongoing Role of Apostles in Missions published by Westbow Press. He has also contributed articles and chapters in the Mission of God series, Global Missiology, and EMQ as well as written evangelistic publications in the Indonesian language. Since college days, Anne has been the love of his life. Their daughter, Chesed, and son, Rob, grew up in Asia and have also worked for several years overseas as adults. Chesed presently lives in Virginia where she recruits and trains students for overseas experiences. Rob, and his wife Lindsey, live in Barstow where he serves on the staff of FBC.